Picture yourself working with a diverse community of artists, helping to bring their sound to life. 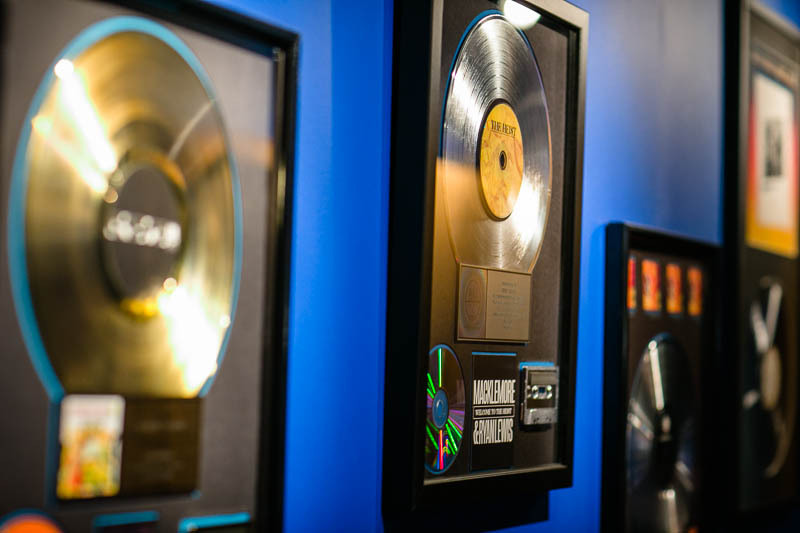 Learn the art of the recording process, studio equipment, technical and business skills. We believe that an advanced education of this importance needs to happen hands-on, in a real working studio, with small class sizes. 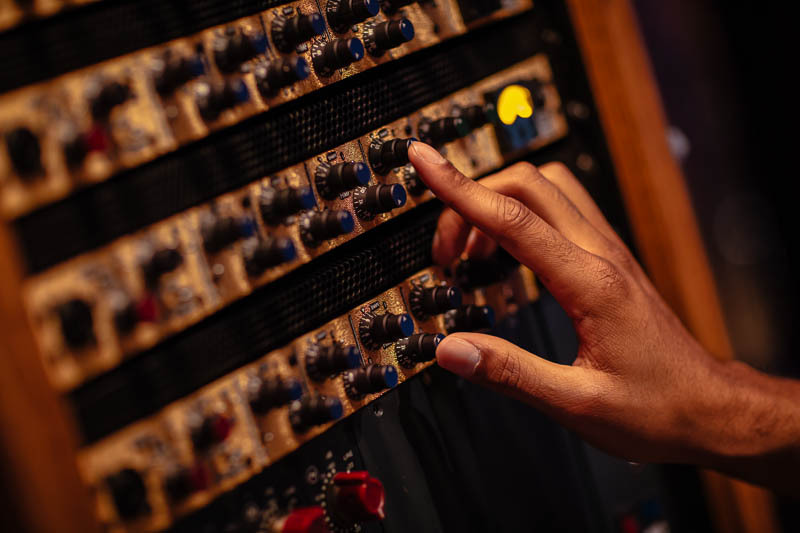 Your training takes place in one of Seattle’s premiere recording studios, Orbit Audio. Our Senior Audio Engineering Instructor is SRA founder and platinum record award recipient Joe Reineke, who has engineered and produced hundreds of albums and tracks for artists worldwide. You’ll finish the course with several days of studio time to independently engineer a musical project of your choice from start to finish. 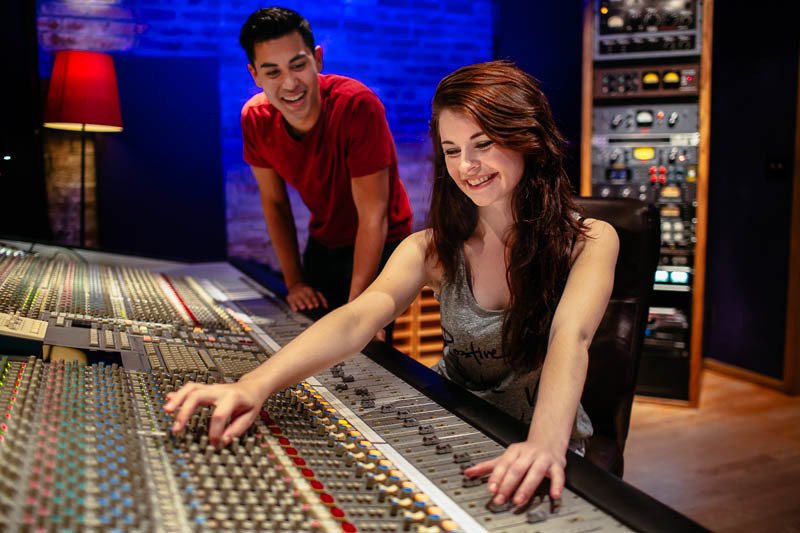 As a SRA student, you’ll receive a Professional Tool Kit of complete hardware and software equipment for recording, mixing and mastering at no extra cost to tuition – and its yours to keep. You’ll learn and grow with these tools throughout our program, gaining first-hand project experience and graduate with your own working studio already in progress. Class Schedule: SRA’s Audio Engineering Program is an academic year (3, 13 week quarters + some additional weeks of breaks) with students attending class one-full-day each week. Classes run 9:30am to 5pm with elective labs from 5 to 6pm, where students are encouraged to stay, gain additional project time, tutoring and mentorship. Students finish the course with a final project that includes four days of studio time with a band of their choice. Students can anticipate about 6-10 hours independent project work and home study offsite each week. Upcoming Enrollments: We typically offer a new Audio Engineering course every spring and fall. Our maximum class size is 8 students. -Fall 2019: Our next fall course will be held weekly on Saturday’s (all day), beginning September 7th. Applications are due by Sunday, August 11th. Interested in applying? Please see the next section below for more details and to download an application kit. Early applications are always encouraged since space is limited. Download an SRA Application. Fall 2019 applications are due by Sunday, August 11th. Requirements: Previous experience or prerequisite training in audio is not a requirement, however, background in music, music theory and/or experience playing musical instruments are very helpful building blocks, and are both highly encouraged and ultimately preferred.